By now everyone has heard of bitcoin but what many people haven’t heard about is the technology that underpins it – blockchain. When I first hear about some hot new investment I do a little research. It usually doesn’t take long to separate the interesting from the hyped. A well developed cynicism certainly helps in that regard. Most new things aren’t really new or nearly as revolutionary as their backers claim. And I think that is certainly true of bitcoin. But maybe not the underlying technology. Blockchain has a lot of applications in mundane industries that are not trying to replace the world’s monetary system. As I said, most things aren’t really new and in a way that applies to Blockchain too. A distributed ledger is actually an ancient idea. 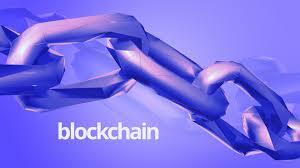 All blockchain does is bring it into the 21st century using technology. A distributed ledger is nothing more than a secure way to log transactions and transfer ownership of an underlying asset. An obvious application is in real estate where transactions are clumsy, expensive and time consuming. This article explores the ways blockchain may be applied to real estate. I don’t know about “revolutionize” but it could certainly reduce the friction in the real estate market. And that makes it very valuable indeed. Next articleIs The US Economy Too Strong?